“What this does is allow the city to have the space without the burden of paying back that money,” he said. The lease payments are less than what the city would pay to finance the project, Crump said. The planned five-story parking deck with 515 spaces will also satisfy the city’s long-standing obligation with the New Jersey Devils. Under a 2013 revenue-sharing arrangement between Newark and the Devils for the Prudential Center, the city agreed to build a parking deck on Green Street. The city offloaded that requirement to the parking authority when it sold the land in 2017, officials said. Additional plans for the property include ground floor retail space, a cafe with outdoor seating and offices that will house the Newark Parking Authority. The city would lease 26,000 square feet of space for $27 a square foot with a 5 percent increase every three years. City employees will be allowed to use 258 parking spaces, 50 of those without time restrictions. “The finance department is in a space that is not conducive for its purposes," Business Administrator Eric Pennington said, adding that the city would likely sell the finance department building on 828 Broad Street. “The court is dilapidated, it needs more storage space and office capacity to do its job." With the Prudential Center steps away, the Green Street parking deck is expected to generate significant revenue from patrons attending events and games. The city, however, will have no option to buy the property at the end of the 30-year agreement, according to the lease. The property is assessed at more than 10 million, according to state property records. 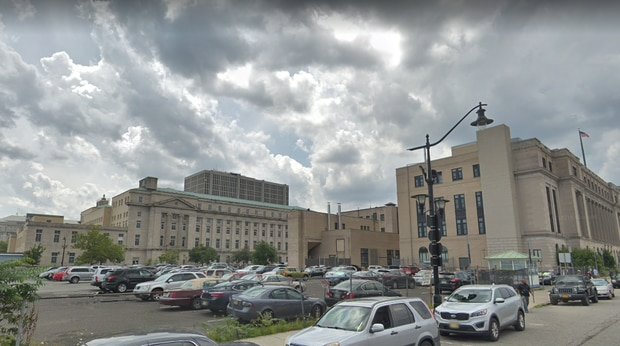 East Ward Councilman Augusto Amador said with the city as a 30-year tenant, the parking authority is guaranteed a steady stream of money as it pays back its bonds. The authority employs 56 workers and oversees parking meters and enforcement, with an annual $5 million budget. “This is the best example of socialism at work. It’s a redistribution of wealth from the city to the parking authority,” Amador said at a recent council meeting. “Something doesn’t jive here." The council will vote on the lease during a meeting on Feb. 20.